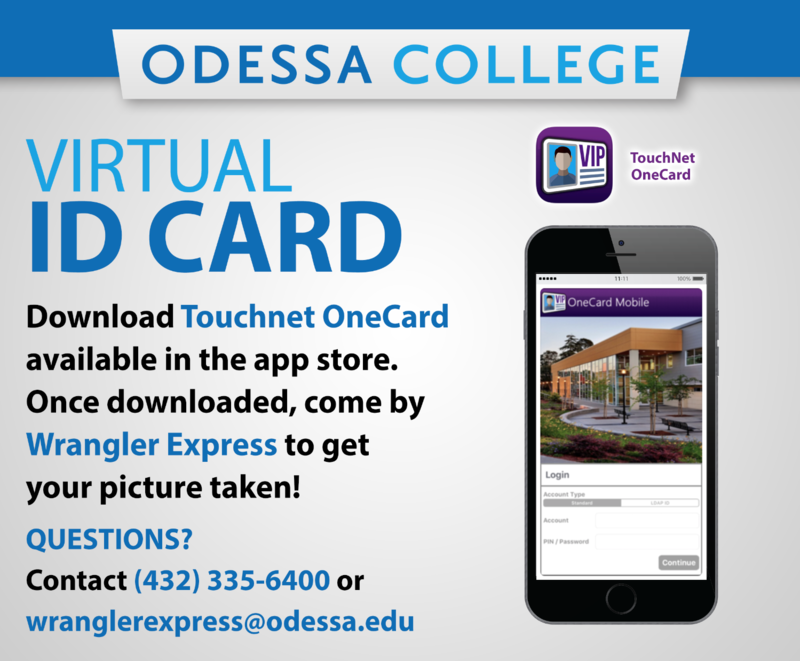 All OC students need to carry their Wrangler ID Card! Visit your App store and download the Touchnet OneCard App. The new ID includes WRANGLER BUCKS – a declining balance feature that allows you to make a deposit and access personal funds directly from your phone at campus dining venues including the cafeteria and coffee shops. Campus vending and Grab-n-Go will be added soon. Visit www.odessa.edu/mealpay to learn more. Located in Saulsbury Campus Center. Open Monday-Thursday 7:30am-7pm, Friday 7:30am-5pm, Saturday 9am-12pm. Please call 432.335.6400 for more info.